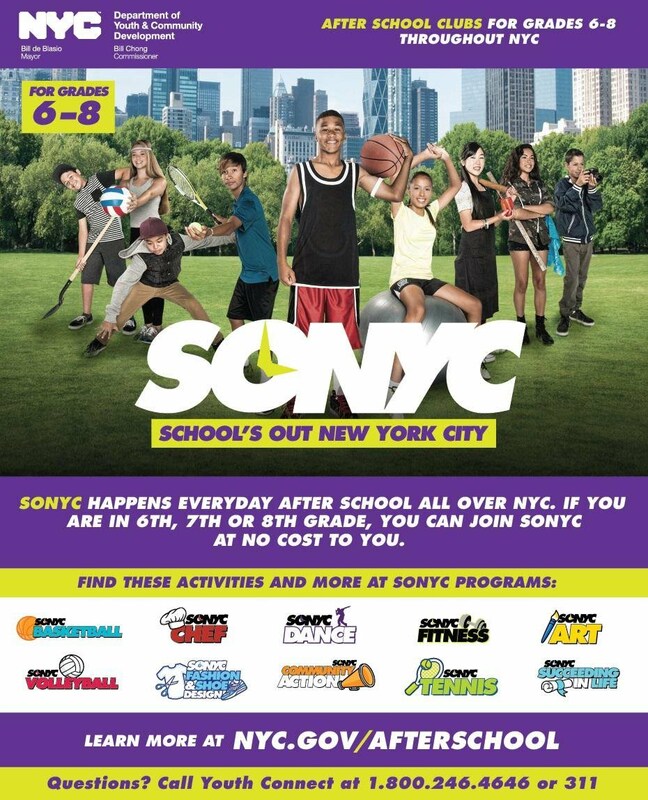 SONYC After-School Program starts TODAY!!! Don't miss out on all the NEW activities this year at UNMS alongside the SONYC after-school program! CLASSES ARE ADDED TO EACH NEW CYCLE!